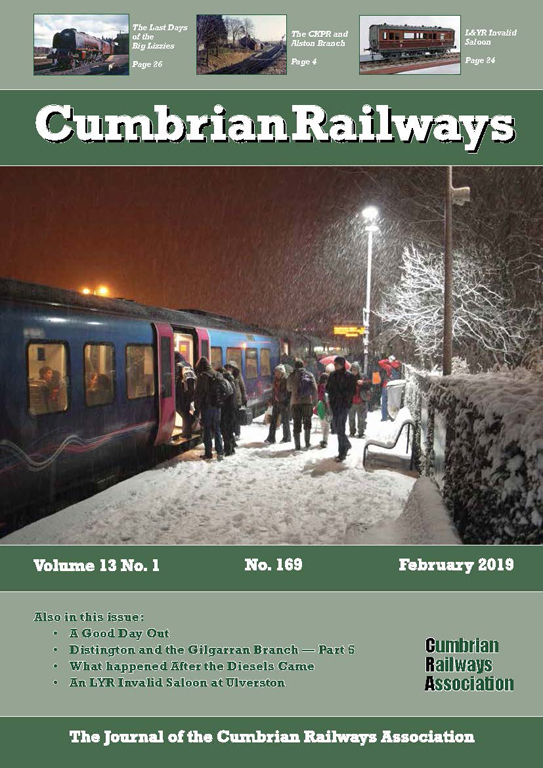 I thought that, at the start of this, the thirteenth volume of Cumbrian Railways, I would be able to return to our more normal 40 pages for each issue.However, the interest generated by the last issue has produced a large amount of correspondence. This coincided with a note clarifying the detail of the graph used by Richard Foster in Part 4 of his fascinating article on Distington. It became necessary to add four additional pages to cope with this and the abundance of letters. As you might have read elsewhere, the Association has a couple of new books in process of being prepared for publication. Indeed, when you read this one or both of them could be ready for you to add to your bookshelf. As part of the process of setting the book, I try and track down the original sources for the photographs that the author wants to use. I am able to call upon others for help in this search and their assistance is greatly appreciated. The Editors and Photographic Archivists of like-minded organisations such as ours give freely of their time in searching out the provenance of photographs in their collection and even making sure I have the best quality image to use. Photographs are sometimes sourced from private collections and for a (very) small fee; full rights are given for their use in a publication. Another great source I use is the Cumbria Photobank, managed by Stephen White, of the Cumbria County library service. There is a vast range of images in the collection, and Stephen is always responsive and extremely helpful. However, in the case of some other public bodies that hold image collections, things are not so good and the price scales are high. Even after explaining that the publication is not produced for commercial profit but is to help fulfil our status as an Education Charity, I can be faced with a demand for hefty charges for any images used. These collections have inevitably been donated to these organisations or have been purchased using public funds, so one could argue that they are a perfect example of material being in the public domain. I realise that funding is tight nowadays, and that money is hard to come by, and I would not object to paying an administration fee, but I draw the line when over £100 is being demanded for the use of each image being requested. In the course of putting together this issue, I noted that some discussion was recorded from the chat line in David Hunter’s submission of the Electronic Telegraph. This was on a special van train which operated in conjunction with the printing of the publication Farmers Weekly. 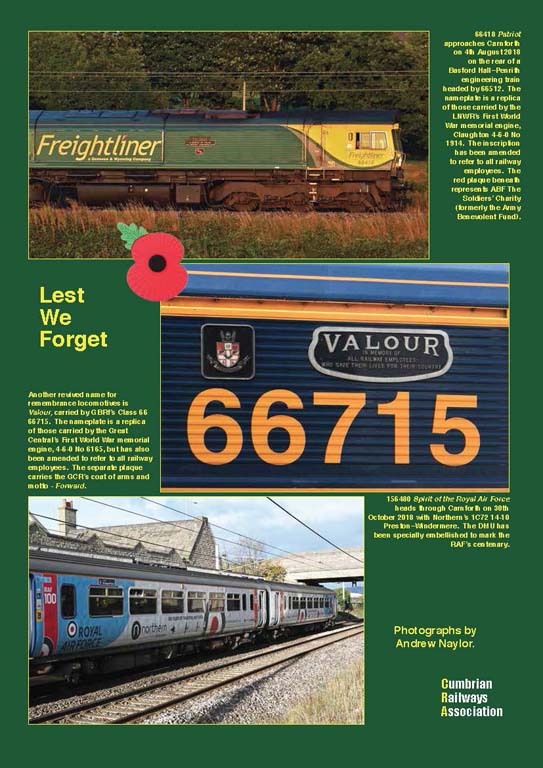 After finding that this title was still in production, I contacted the photo editor of the publishers, Caroline Morley, and she kindly took the trouble to sort out and scan the cover of the magazine that would have been on the train shown in one of the photographs. Her kindness in doing this has added another dimension to the piece, relating our interest in the trains operated on our railway with the actual product that was carried by them. My warm and grateful thanks to Caroline for her hard work in preparing the scan for us to use and her generosity is very much in contrast to some of the organisations I referred to earlier. It is nice that some commercial companies can go the extra mile where public bodies cannot.